Qube MS translate and “Humanise” all aspects of Computing. Our technical champions de-mystify technology both in and out of the cloud, enabling you to orchestrate your entire technology lifecycle by deploying your infrastructure of choice, on the service provider of your choice. 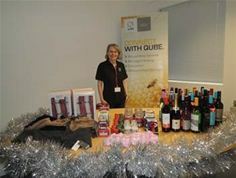 Keeping true to the company ethos Qube show their ‘human’ side and donate hundreds of gifts to worthy causes and charities. Polly has been showing the true meaning of Secret Santa for many years and donating on an individual basis for many years and decided to increase the reach this year. However, surprisingly and disappointingly Qube have had either no response or a denial of donations from their offer of donations due to policies. As it’s not in their nature to give up they are inviting you to send details of why your worthy cause or London Charity would like to be considered for donations of toys, toiletries and chocolates, contact Someonegivesadamn@qubems.com. And the gifts will be delivered before Christmas.